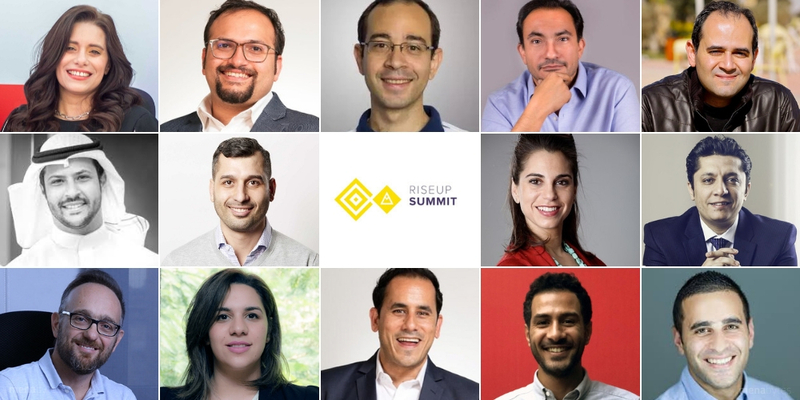 RiseUp Summit, one of the leading startup and tech event of Middle East & North Africa will take place in Cairo later this week. The event will bring together startup community and business professionals from all over the region and beyond. Just like last year, the event is being organized at two venues; The Greek Campus and The American University in Cairo’s downtown campus -both of which are few minutes of walk from each other. RiseUp published the agenda for the summit yesterday with all the details about talks, panels, fireside chats, and workshops and having gone through it, we can confirm that it won’t be easy for attendees to choose between different sessions. To make it easy, we’ve put together this this quick list highlighting some of the must-attend sessions. The list does not include workshops as they have limited seats. If you can, bring your co-founder(s) and other team members along, so you can attend multiple sessions from all the three tracks, Capital, Creative, and Tech, and some workshops as well, to make most out of the event. But if you’re the only member from your startup at the event, this list should help. The event will start off at capital stage in The Greek Campus with opening remarks, a talk by Kamran Elahian about failure, and a fireside chat between Fadi Ghandour and Ahmed El Alfi. That’s how attendees will start the event and then they’ll have choice between attending sessions at capital, creative or tech stage. That’s when this curated list of sessions could come in handy. Hassan has been Investing in the MENA region over the past 8 years and has gained a lot of insight and grounded experiences doing so, In this Keynote he compares MENA to Silicon Valley and explains the common mistakes founders make when raising from VCs. Growth at all costs? We’ve all heard the phrase. It’s a mantra for startups that tells them that they need to grow big, and they need to grow fast – no matter the cost. But what if the ultimate cost is their business and maybe their sanity? In his keynote, Dr. Karim Hussein, Managing Partner at Algebra Ventures, Egypt’s largest VC fund, will talk about the pitfalls and challenges that come with this mindset, how to survive them, and will share alternative perspectives on different pathways for grounded growth and sustainable profitability. The Founder & CEO of Halan, Egypt’s first ride-hailing app for tuk-tuks and motorcycles, will talk about how to build successful, fast-growing companies in Egypt. In just under a year, Halan has facilitated over 2 million rides, launched in various governorates across Egypt, and even crossed the border to Sudan. In his keynote, Mounir will share the most valuable insights he has uncovered from 15 years of successful entrepreneurship. Emotional design is only central to what we can User Experience, and this is a talk on how to treat your user like someone you’re starting a relationship with. This is from the first date when it is all rosy, till times get tough and it’s hard to pay for the subscription. How are you going to keep them around? If you are starting a business and looking for funding then attending this chat is a must for understanding the differences between different types of investors, Zeina Mandour of Cairo Angels and Karim El SIrafy of Modus Capital explain the differences between the two and they are joined by Ahmed Korayem to engage in the different perspective that a corporate VC has. It’s easier said than done. But Ahmed and Amir have been through it all so we’ll take their word for it as they tell us all about their journeys. They’ll walk us through what it takes to build a technology centered business in Egypt, why they chose to invest their time and effort locally, and how they were able to turn their ideas into two of the most successful startups in MENA. Remember that debate around agile? Microservices VS Monolith? We’ll start the next debate. Should companies invest time building products capable of measuring KPIs from day 1? In this fireside chat, we discuss the KPIs necessary to iterate to a successful product from the perspective of a successful startup and a 106-year enterprise. Think lean provides practical insights and secrets that work in the Arab region and that are not available in text books to launch and scale companies through business model innovation and lean customer development. In a digital environment where all services are handled by an app or a website including transportation, healthcare, FinTech, and others. And with all the cyber attacks hitting different companies daily including startups. The need for securing your business became crucial. In this session, we will cover top 10 tips that co-founders can adopt quickly with low cost and low resources to their startups in order have a basic security level that can prevent your business from being hacked. Ever Wondered what investors are looking for? Have you felt that you are not speaking an investor’s Language ? Join our Panel of seasonded investors as they discuss the keywords they are looking for in an entrepreneur. TPAY is MENA’s first Dragon in the startup and investment space. We are not talking about fire-breathing mythological creature but a startup exit that returned a multiple of the entire A15 fund to its investors. The one-to-one Fire-chat with TPAY’s Co-founder & CEO Sahar Salama will put spotlight on the inside growth story of TPAY; MENA’s largest Direct Carrier Billing provider. The discussion will tackle interesting and pivotal milestones as her vision when she first started out, the challenges she faced, the learnt lessons to be shared with entrepreneurs and the value a right investor can bring to the table as A15 helped TPAY scale by providing investment, strategy, process and capacity building support across all functions and acted as a launch pad for TPAY’s expansion in the region which led to achieving a compound annual growth rate of 1,081% since its launch and commanding the largest market share at 80% in the Direct Carrier Billing space in MENA. VCs and entrepreneurs combine to share their knowledge on why Startups in MENA need to go regional and global. Fadi Anataki and Numan Numan give their perspective on how to cross borders and what to look for in partners. Ritesh Tilani and Rama tell the stories of how to expand into more than on country and discuss all. Amir Barsoum, founder & CEO of Vezeeta, and Ziad Mokhtar, Managing Partner of Algebra Ventures will be putting each other in the hot seat in this fireside chat. The entrepreneurship veterans will take turns answering difficult questions about building and funding successful startups in Egypt and the MENA region. They will discuss the love/hate relationship between entrepreneurs and their investors, sharing the challenges they faced themselves, and the solutions that worked. They’ll talk about belief and doubt, missed opportunities, and hard lessons learned along the way. They’ve been through it all (losing valuable team members, clashing on budget decisions, and major pivots), and made it out on the other side. They will be sharing the good, the bad, and the ugly with the region’s entrepreneurship community. In less than eighteen months, Swvl has grown to become one of the hottest startups in the region. They recently raised tens of millions in their Series B at valuation close to $100 million and announced their plans to expand to Souteast Asia early next year. Swvl’s co-founder and CTO Ahmed Sabah will share insights about their journey so far in this session. Having raised tens of millions in Series B recently that valued the company. Wuzzuf, Egypt’s leading jobs website has teamed up with RiseUp once again this year to organize a talent matchmaking event for startups during the summit. It’s a must-attend for any startup that’s looking engineering, managerial, or executive talent. You can learn more details about it here. That’s not it. There are tens of other sessions and some amazing workshops. And as workshops have limited seats, you should try your luck with them right away. You can find the full agenda here with all the details about workshops as well.